Sherwood Baptist Church believes that “Whoever wants the next generation the most will get them.” ­This is a motto that has become part of the lifeblood of our church since our pastor, Michael Catt; first gave it to us as a challenge. Now everything we do at Sherwood is viewed through the eyes of reaching the lost, and making sure we show that we are the ones that want the next generation. Technology has played a big role in everything we do here at Sherwood. 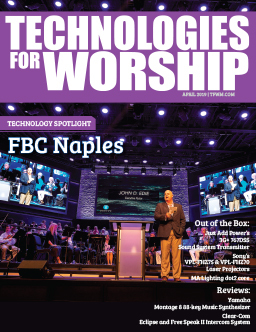 Many people would recognize our name for being the church that made the movies Flywheel, Facing the Giants, Fireproof and Courageous, but our media side goes deeper than that. Many of our ministry areas rely heavily on media equipment to get the job done. One of the main areas, as would be for any church, is our sanctuary that seats around 1,900 people. Late 2015, I was tasked with getting prices on what it would take to go from a full SD environment to an HD environment. ­There are many factors that made this a daunting task; one of which was going from a SD video camera system to an HD video camera system. The setup we had in place was a four camera system. ­Three cameras on the main floor and one shooting from the balcony. At first I was looking at cost saving scenarios, which is what first drew me to the idea of robotic cameras, but the more I looked into them I discovered that there truly is no substitute for a manned camera. However, I also saw the value they could add to our current scenario. Our current balcony camera was not a good shot overall. It got our baptistery and out wide stage shots. ­e more I thought of that camera, the more I knew I was wasting the potential and availability of my volunteers for those 2-3 shots. It became a no-brainer that at least one robotic needed to make the cut. In the end budget options were expanded, not common I know, and we were able to look a little more in depth. So here is what we decided to get: three manned cameras, the AJ-PX380GF, from Panasonic; we also got four robotic cameras, three Panasonic AW-HE130WPJ’s and one Panasonic AW-UE70KPJ; and two POV cameras on the stage. We went from a four camera setup to 10 cameras overnight. ­e Panasonic cameras revolutionized the way we did our services. I don’t have to state the obvious! Going from SD to HD amazed us with crisp colors on every one of their cameras. Everything looked like a seamless production. ­The AW-RP120GJ Panasonic Pan-tilt camera control system enabled us to pre-program the robotics to do almost whatever we needed them to. 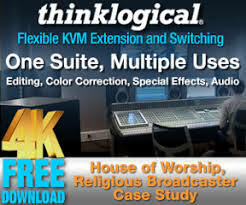 We can program in zoom in’s, choir shots, stage pans, baptism shots, crowd shots, etc. 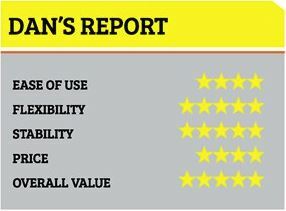 ­is has been a game changer for our volunteers and allowing us to produce a technically excellent product. We recently did a live worship recording called Hope is raising, and the ability to shoot this in HD and have a great product in the end has made every piece of this HD project seem worthwhile. The addition of these cameras enabled us to look at everything we do differently. Now we send our morning service to our app, website, and Vimeo page. Before the upgrade, we did not utilize video to its full potential, now we are not afraid to utilize video whenever and wherever we can. Now when people come to visit “the church that made the movies”, they are walking into an environment that looks top notch from head to toe. Many in our congregation can’t stop commenting about how good the video looks now. 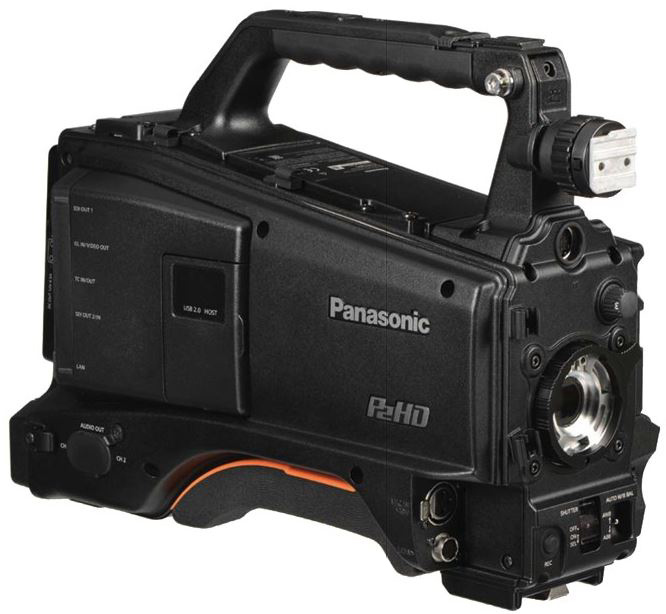 ­is was not only a great move because it went from SD to HD, but a great move because Panasonic makes a stellar product and they make sure you get what you need to succeed. We went big and swung for the fences and we could not be happier with the product we got and the job done by our contractor DB Audio and Video out of Gainesville, FL. Each step of the way, we knew the final product was going to look and feel amazing. 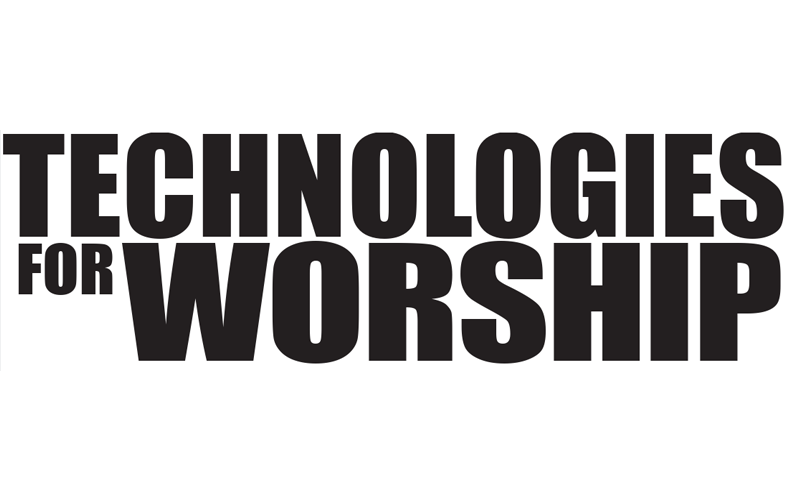 ­The first day people walked in the room there was a noticeable sense of excitement in the room as people saw how the visual side of worship just took a huge leap forward. We are not afraid to try something big in the video world now, because we know we have every tool we need to pull it o‑. We are looking this and the next generation in the face and letting them know we want them here at Sherwood. DAN MINGO IS THE MEDIA PASTOR AT SHERWOOD BAPTIST CHURCH IN ALBANY, GA. HE HAS BEEN THERE FOR ALMOST FIVE YEARS AND HAS DONE MUCH RESEARCH AND MADE MANY PRODUCT DECISIONS AS PART OF THE RECENT UPGRADES IN BOTH THEIR NEW EXPANSIONS AND IN THE WORSHIP SPACES.